Enter your email address below to receive a notification when Monthly Automotive Subscription Box starts accepting new sign-ups! 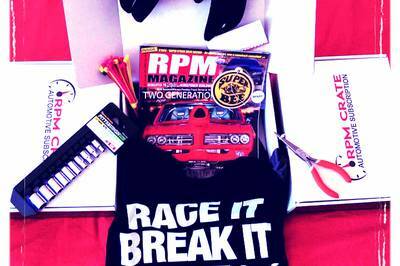 Enter your email address below to receive a notification when Monthly Automotive Subscription Box is accepting new sign-ups again. Renewal Date is first of the month, Shipping date between 17-25th of each month. Subscriptions automatically renew. Cancel anytime. No question asked. 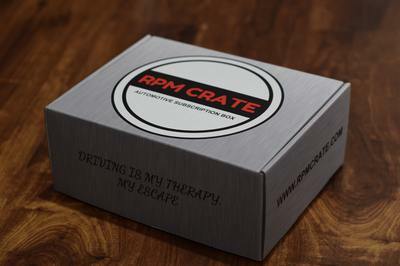 What's inside of RPM CRATE ? 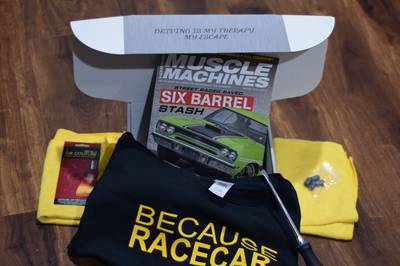 TShirt, Magazine, Air freshener plus something extra When you order you can choose between JDM / MUSCLE CAR / EUROPEAN, and All above! This is no beauty box, We want you to use what's inside! 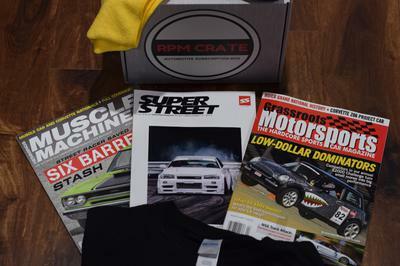 I received Tshirt, Mechanical Guys products, Magazine, Air Freshener, btw, I love the box design guys! I all ready told my brother about the box and he subscribed as well! ! This box was not worth $30. We got a T-shirt that was way too small and I wasn’t even asked T-shirt size when buying the box. Don’t waste your money. We ask for shirt sizes before customer place an order. How this box isn't worth 30 dollars? 5 to 6 items included. Sorry.